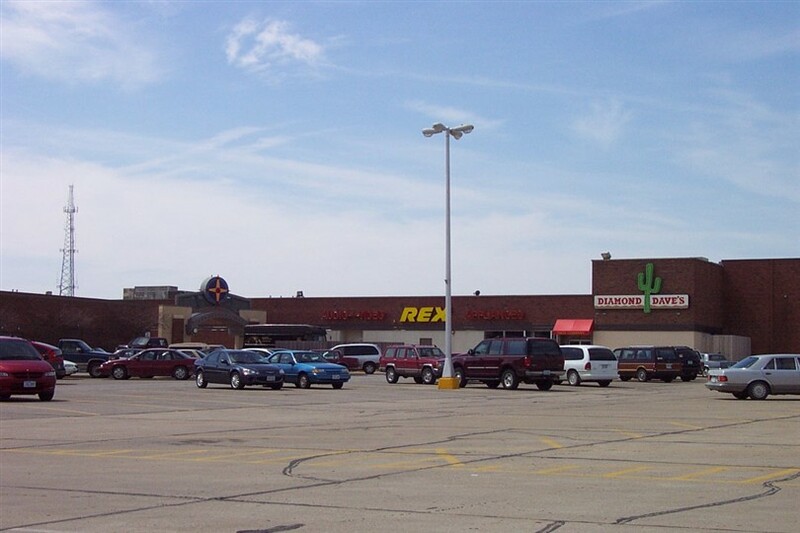 Crossroads Mall is located on the south side of Fort Dodge, in north central Iowa, population 25,000. However, don’t let the seemingly small size fool you, because Fort Dodge is essentially the only population center for miles around. Of the nearest larger cities: Ames is 60 miles south, Des Moines is about 100 miles south, Waterloo is 100 miles east, and Sioux City is 120 miles to the west. According to J Herzog Inc, the mall’s owner, the mall draws from an immediate trade area of 117,000 and an extended trade area of 284,000 in a 60-mile radius. For hours in any direction there are nothing but mostly corn and soy fields on flat or gently rolling plains, dotted by the occasional one-horse town. As an aside, take a look at this interesting photo tour of Fort Dodge, including the mall. It shows many of the interesting things in the city, including the very old downtown. 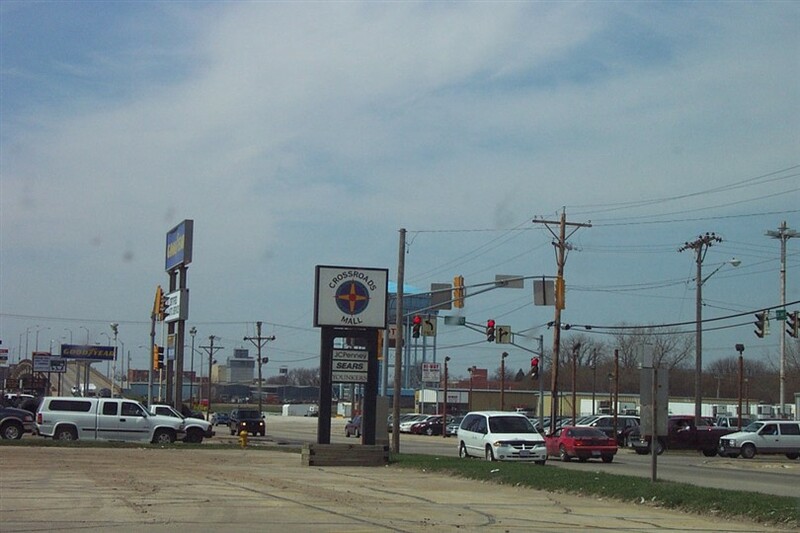 Like many cities established during the frontier and industrial heyday, Fort Dodge has experienced a significant decline and economic stagnation in recent years, complete with the problems of much larger cities like urban decay, poverty, and a downtown straight out of 1960. Despite this, it still remains a unique and interesting place and a close-knit midwestern community. 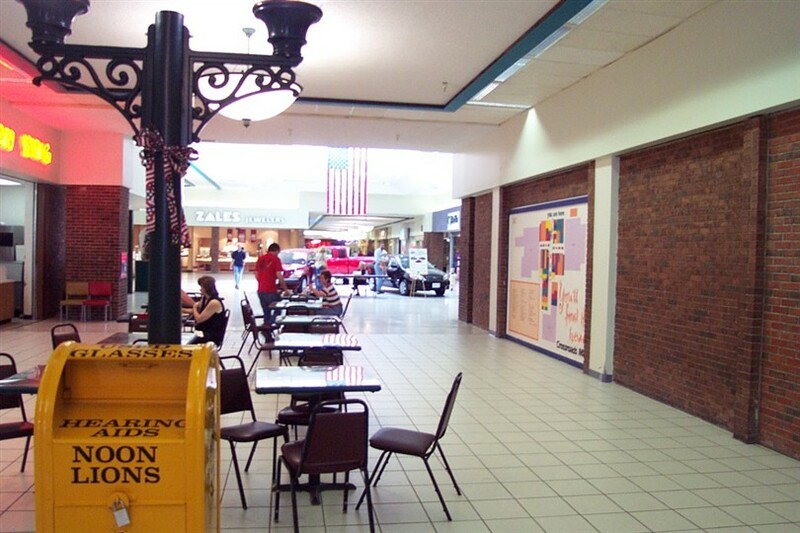 Crossroads Mall is a typical regional shopping center straight out of rural middle America in every way. Anchored by JCPenney, Sears, and Younkers, the mall also has about 50 other smaller stores including many national or regional chain retailers such as B. Dalton, Christopher and Banks, Foot Locker, FYE, Maurices, and Shoe Sensation, just to name a few. It contains about 480,000 square feet of retail space (including the anchors), making it a substantially sized enclosed mall. 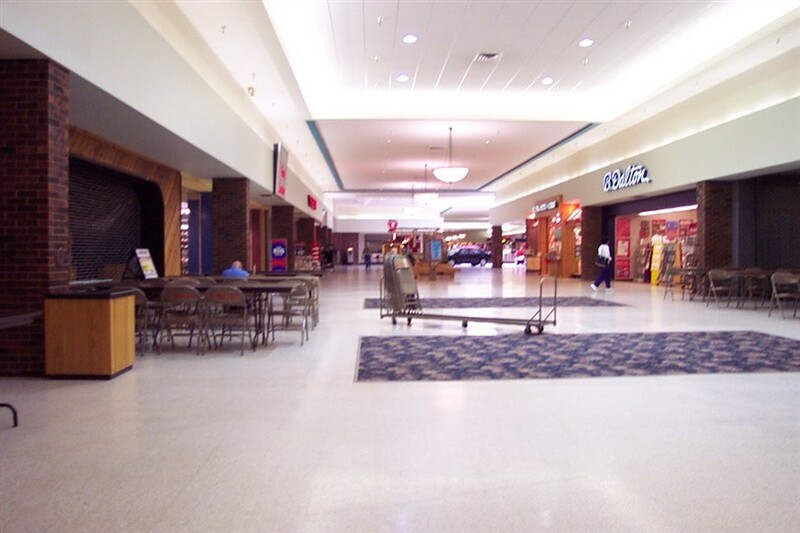 I visited Crossroads Mall in April 2002 and took the pictures below. J Herzog indicates the mall was renovated when they acquired it in 2000; however, I saw almost no signs of this. The mall probably got a few new fixtures and a new coat of paint or something, because much of the infrastructure of the mall appeared to be at least 20-30 years old, if not more. As the mall draws from such a large area, it is mostly successful when you consider the demographics. You won’t find Banana Republic (or even the Gap) here, you’ll have to drive an hour down to Ames to find that. Instead, the stores here are more typical of a hard working-class, agricultural area. With lots of grandmas (keep reading). 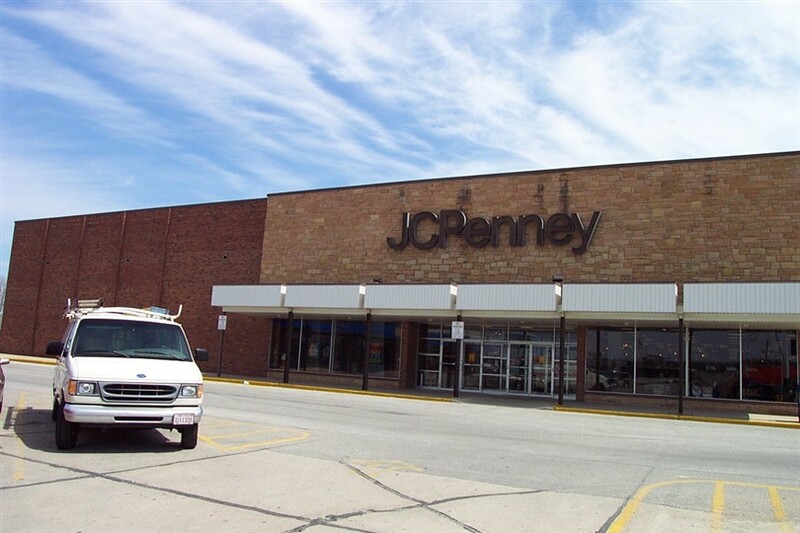 That JCPenney looks to be from the late ’60s (you can tell by the heavily mullioned storefront around the exterior doors) and apparently hadn’t been fully remodeled since the early ’80s (two-tone carpet, exposed former showcase windows). Yeah they also put tiny squares of carpet down throughout the mall, and carpeted the ramp leading up from a couple of the anchor stores. All in all, a practically useless investment. 1. This mall was originally open-air. It was enclosed sometime in the early 1980s. This was in response to another mall built in Fort Dodge, the Trolley Center Mall, located downtown. Trolley Center is now a totally dead mall. 2. What you thought was a dead Walgreens was, in fact, a dead Walgreens. It closed in the late 1980s. 3. A Woolworths, with coffee shop, was located where the Dunham’s sporting goods store currently is. 4. 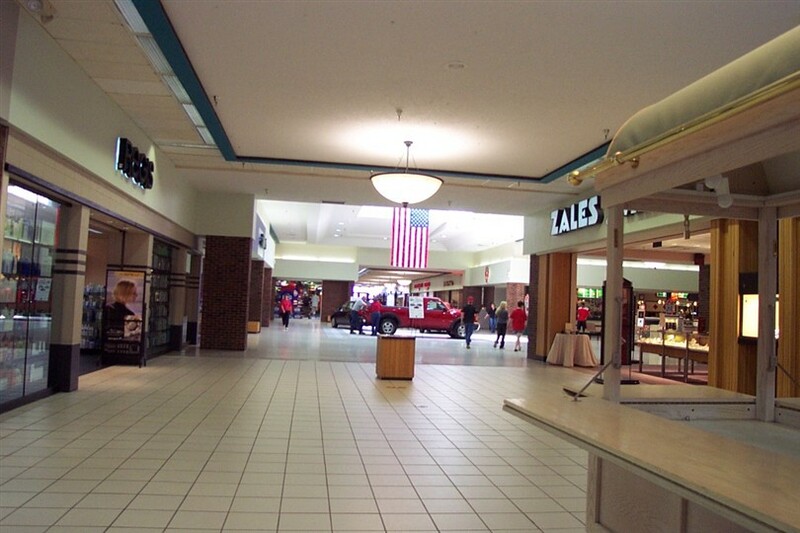 In the center of the mall (where the cars are parked in picture 18), there used to be a small, raised hexagonal stage. It was a popular gathering place. 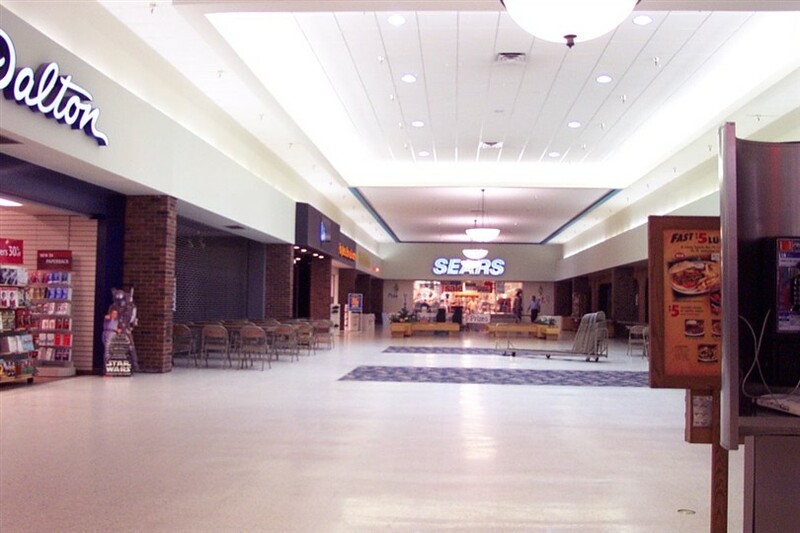 Yay, the Crossroads Mall in Fort Dodge, Iowa……what a treat! This mall is VERY VERY bad, in my opinion. The Westgate Mall in Carroll is better in my opinion. They charge WAY too much rent on their tenants, there is almost NOTHING in the Sears wing (oh, and Walgreen’s didn’t close in the late 1980s, it moved out of the mall in the late 1990’s to their standalone corner location just outside the mall. It is now a Hancock Fabrics and that same dead area of the Sears Wing you saw in the pictures. The only store I go to in this mall is FYE. Right now they are getting a new coat of paint, which sort of improves the look, but they need to focus on getting more popular stores rather than having thirty shoe stores in this mall. Hi it’s me again. 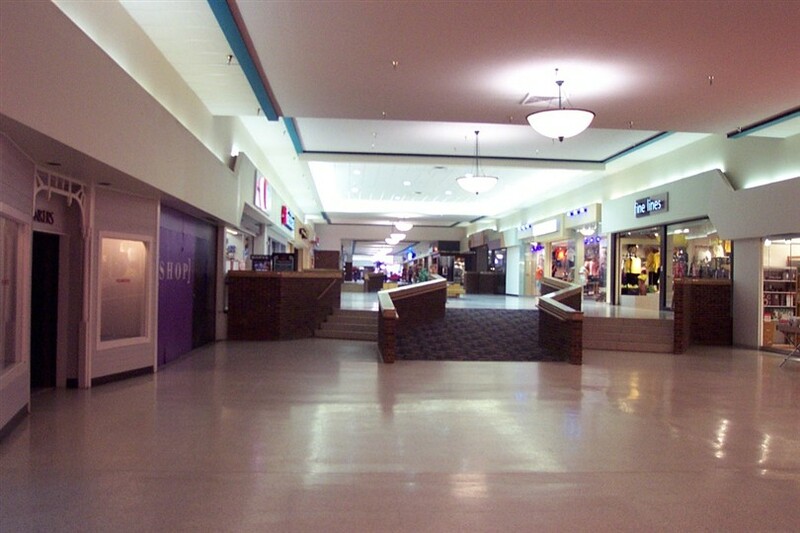 Wow….when did you visit Crossroads Mall? This had to be before 2003 because Schweser’s isn’t there (across from GNC & Christopher & Banks), EB Games isn’t there, JC Penney is still ghetto looking (they remodeled this year FINALLY with replacement signs on the building……….that light up instead of black), Younkers STILL has that ugly storefront inside the mall………SO 1980s right there lol. Fine Lines closed and Vanity (from the Sears wing) moved in it’s place, Payless Shoe Source moved out to the strip mall across from Wal-Mart Supercenter, and Gadzooks is closed (like they closed all their other stores) and is now TNT gift, a chinese gift store, which is actually kind of interesting. Rumors of an Old Navy taking over the old No Boundaries Race Shop/Payless ShoeSource/Vanity/Kid’s learning store arose but hasn’t happened. They’d prolly lose money because of the rent price and 90% of Fort Dodge can’t afford any kind of clothing except for the clearance rack at Goodwill. Ugh, just like the rest of Fort Dodge… cruddy. Live Spiders, eh? It’s like one of them roadside displays off Route 66! Having returned to visit the city in the last year, I was amazed at how much it cleaned up its act. Although my brief visit did not include a trip to the Crossroads Mall, the exterior did seem to look pretty much like I remembered it when I lived there in the 1980s as a radio air talent. I recall distinctly a “lock in” event one year for an after-prom party at the mall. In order to prevent “red ashphalt” on the streets we locked up the seniors from the public high school and had games, food, etc. I hosted a car giveaway and recall the kid who won was a fellow by the name of Jason Hamburger (true). This mall is really no great shakes, although I did enjoy shopping at Spencers when I lived in “the Dodge” in 1987-’89. It is far superior to the now defunct “Trolley Center” mall downtown. The only thing that had going for it was a bar called the “Rock and Roll Reunion”. Crossroads is somewhat similar to Southbridge in Mason City, although a bit larger. Still, those good ole days of Crossroads are a pleasant memory to me. For a small town boy it was like going to New York. I also liked the businesses that ringed the huge parking lot, especially Henry’s Hamburgers. I now live in Minnesota. 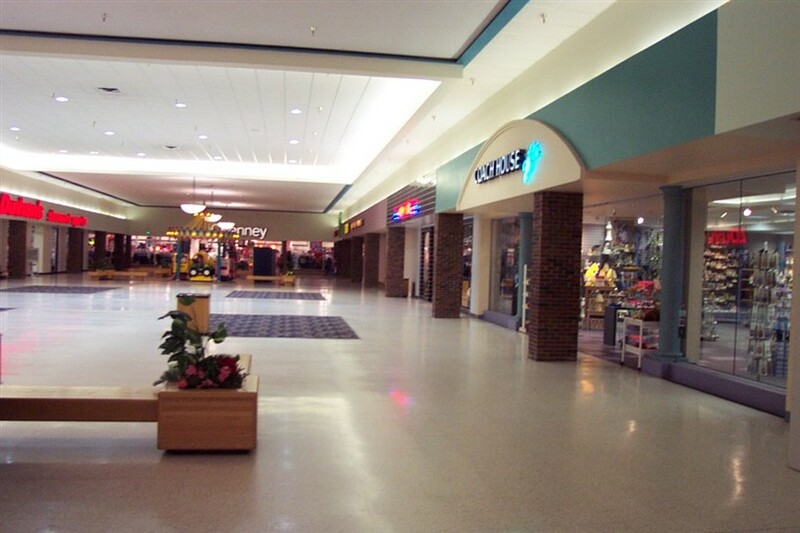 Check out River Hills Mall here… it’s a far superior mall than anything you’ll find in similar sized cities in Iowa. And Gadzooks did not close ALL of their stores. I recall that EB Games is still in business as I visted their store last month. Also, there is a Buckle clothing store but, I don’t remember when they moved into the mall. 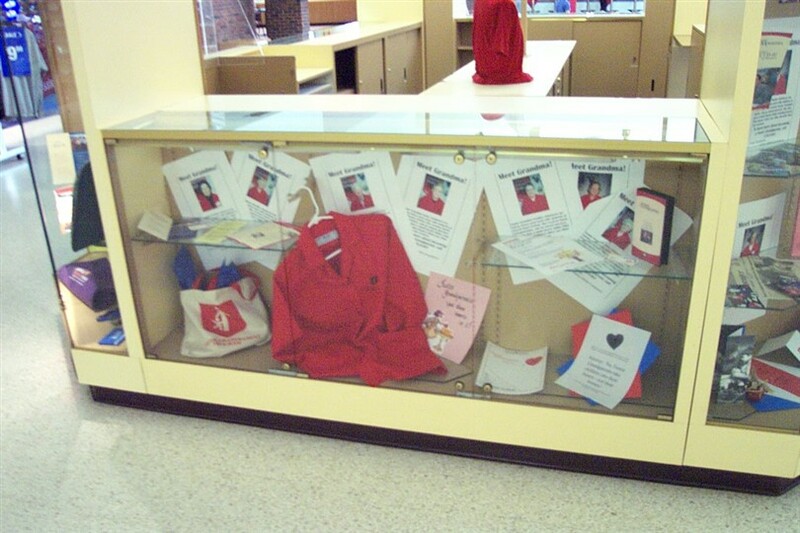 Um… the “Grandmother’s display” was of Foster Grandparents. These ladies gave their time to the schools in the community. They assisted teachers with lessons and made sure the students were happy. The vest in the show case was their uniform. These grandparents made a difference in many kids life’s that went to Fort Dodge schools. God Bless them! 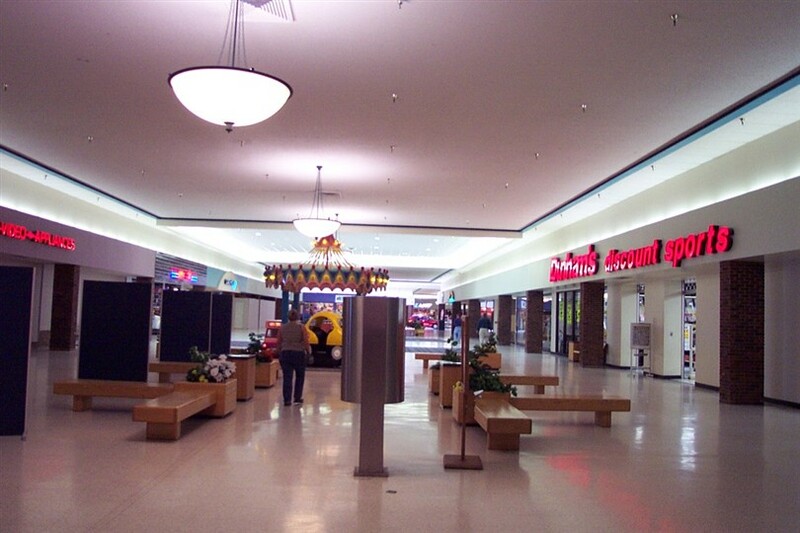 I grew up in Fort Dodge and have fond memories of the open air mall. Every year at Christmas time they had a little train that I would ride all around the mall,I remember how cold it was but I didn’t care because Santa was the driver. My mother worked at Younkers from the time I was in 3rd grade and then I worked there with her for a few years before she passed away. 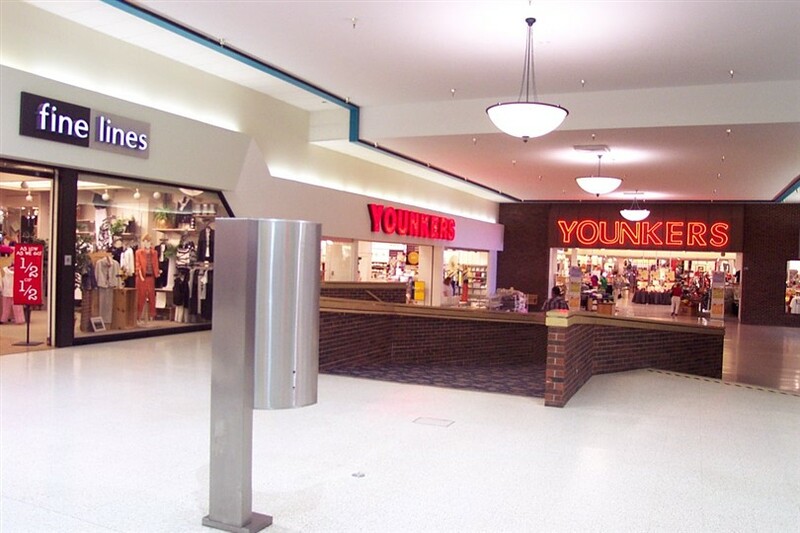 Back in the day Younkers had high standards, now sad to say it is like any other store. 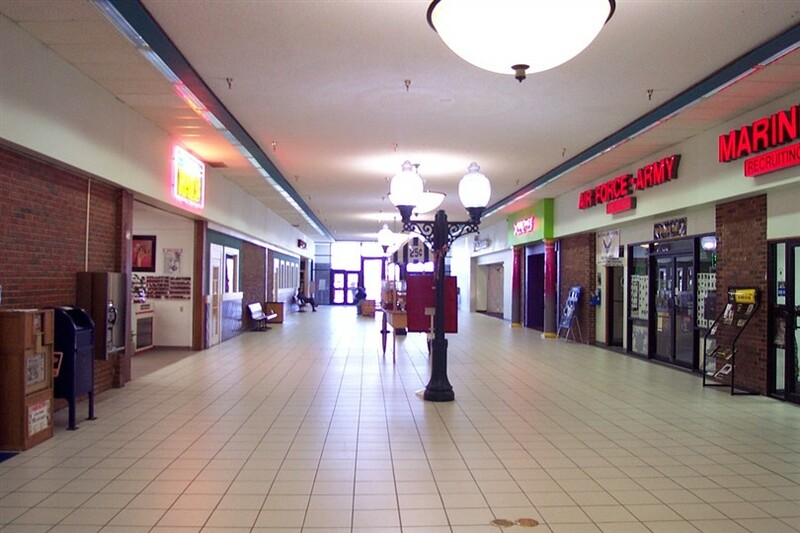 Good luck to the mall, looks like it needs some updating and a better selection of stores. I enjoyed looking at the photos. The “Dead” Walgreens moved to a freestanding store in 1999. I know this because I worked in the mall at that store front in 1997 while in High school. Mark is a little incorrect about his dates. 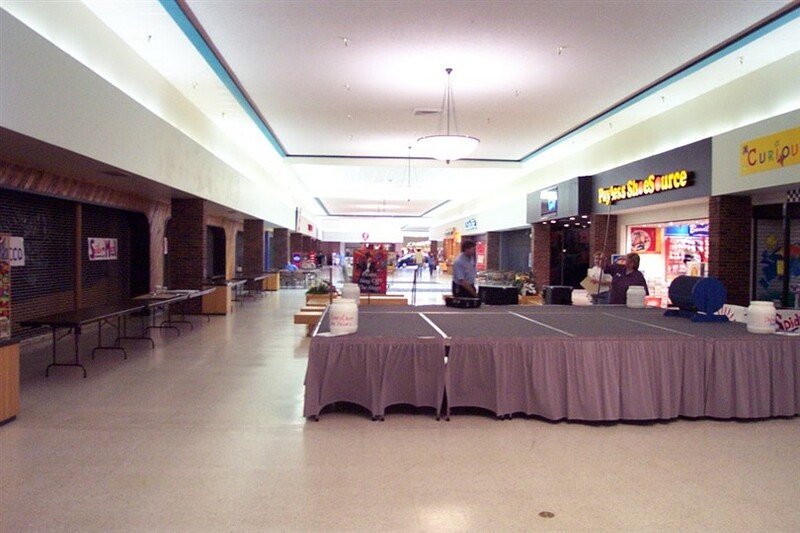 As sad as it is to say, there are even fewer stores in the mall now than there were when these photos were taken. The Walgreens (Not exactly failed) moved from the mall sometime in the mid 90’s, when they built their own building on the opposite side of buisiness 20. They had planned on puting a small theater in the space, which was shut down when the Cinema 4 became the Fort 8. 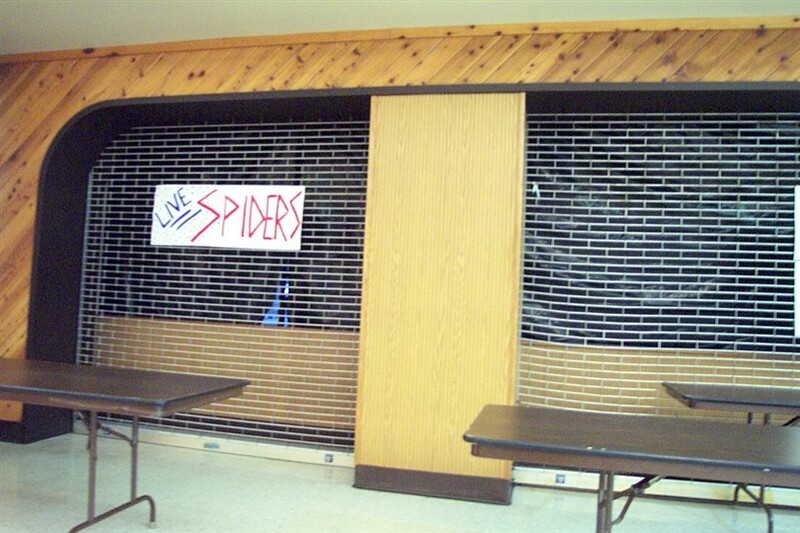 The “Live Spiders” and “Coin Toss” signs were probably for a program run by the Curious Kids Museum (pictured in many of the adjacent photographs to the signs). And yes, they do lock the high school seniors up in the mall for a whole night. If I recall correctly, many of the area high school do something similar as an “After Prom” party. FDSH has enough students that no venue in town could properly facilitate an after prom party, so they have a Senior Dinner and all-night party for the graduating class. It’s not so much the “red asphalt” effect, as more of a last hurrah for the seniors. 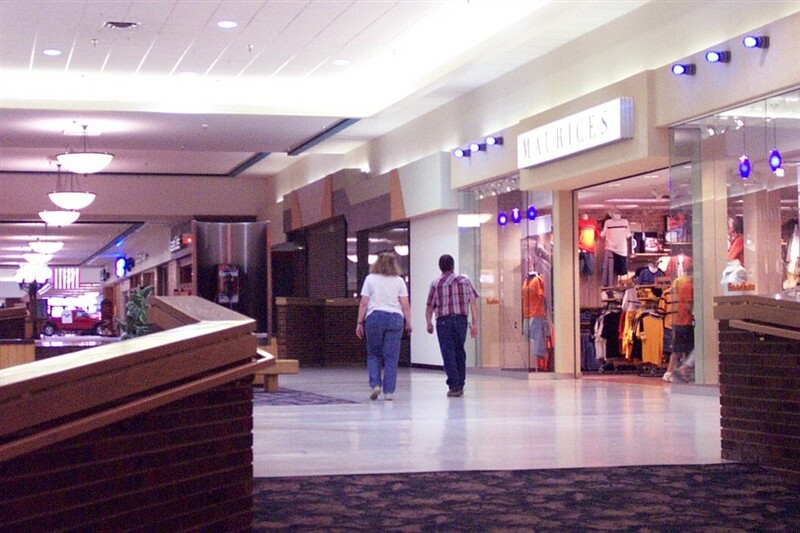 They give away everything from Gift Certificates, to luggage, refridgerators, TV’s, and many other things college students may find useful… I grew up in Fort Dodge, and yeah, the mall is old, and overpriced to rent a space. But in a town that is mostly lower and lower-middle class, what do you really expect? Most people that can afford to buy Abercrombie and Aeropostale, are also willing enough to drive an hour to DSM or Ames. 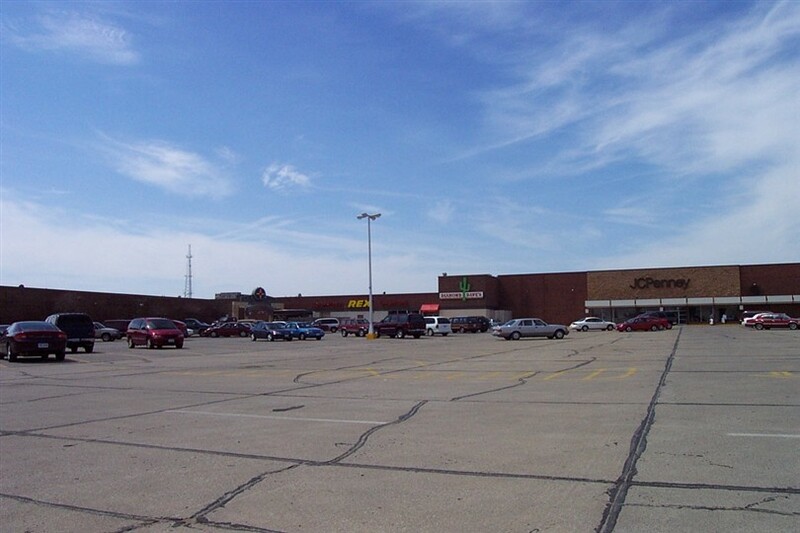 I have fond memories of growing up in Fort Dodge and visiting the mall when it was still open air. I grew up on a farm just outside of town so didn’t get there often. When I did it was a big deal. Even bigger when they closed it in. Like many teens these days, I enjoyed goint to the mall to hang out with my friends or meet my girlfriend at Orange Julius. Those were the days. Ocassionally I get home to visit and seeing the mall in the sad state it’s in is depressing. I don’t go to the mall where I live now, but when I do, it’s nice to have a nice one to go to. Hey it’s me yet again! I visited this mall last month just for shits and giggles and it is still how I left it. 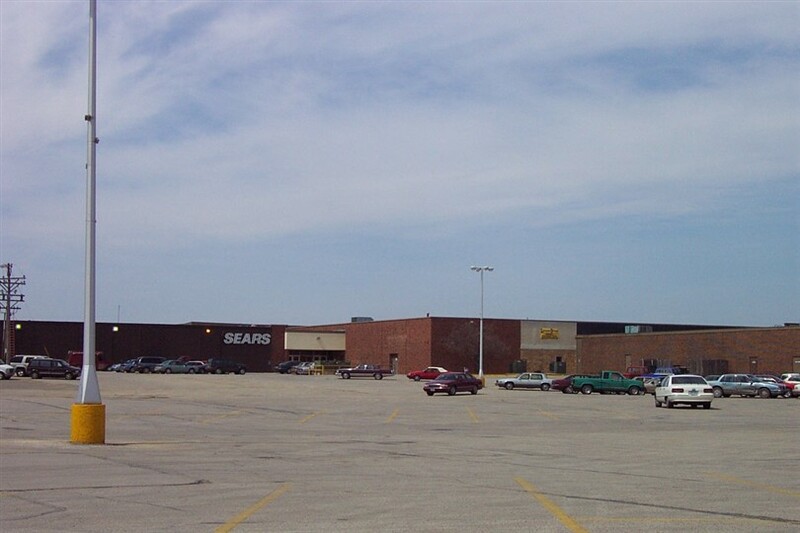 I cannot believe after three friggin’ years they have not found ANY businesses to go into the Sears Wing…is it REALLY that hard? I know that rent is expensive, but offer retailers lower priced rent for a year to see if the store will make it in the mall and THEN charge regular rent. The only things that have recently changed in the mall is that Gordon Jewelers has become Riddles Jewelers (which looks a LOT nicer, actually) and Longlines Wireless has moved in next door to Riddle’s. The Gamestop (old EB Games…it transformed into Gamestop in 2005…even after they built the Gamestop in the strip mall across from Wal-Mart in 2004) in the mall finally closed (though I think they never should of opened a Gamestop OUTSIDE of the mall…), and that’s pretty much it…and yes there is a Buckle, Maurices, and i hear from word of mouth that some japanese steakhouse will be moving in the now closed Bonanza…is there anyone that can confirm this? Thanks! 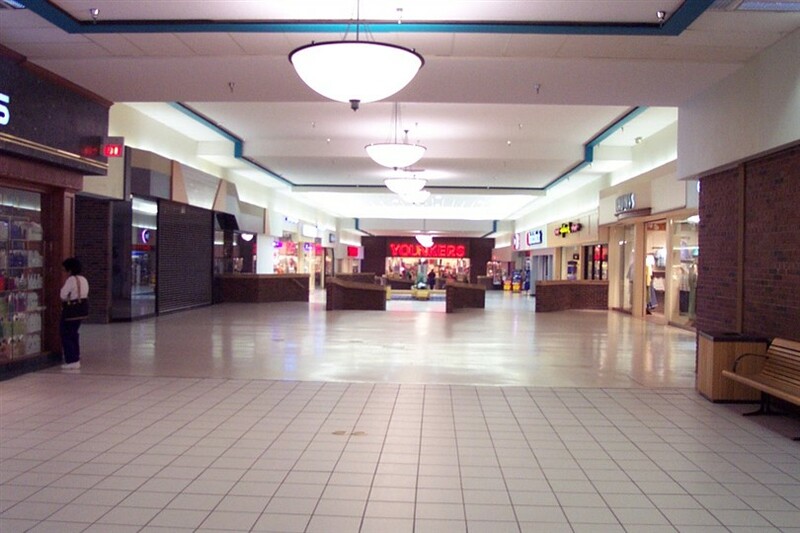 Hey…if you’re all interested, I have updated pictures taken just last week of the mall. But I want to personally thank the owners of this site on helping me connect with other retail lovers like myself! 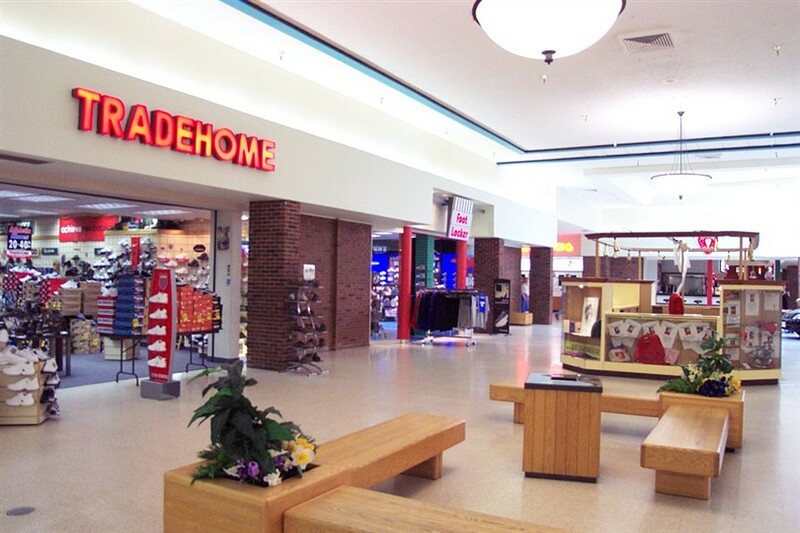 Looking at the old photos, I see that this mall once had two Foot Lockers, one on either side of the Tradehome. Both appear to be “regular” Foot Lockers, too; that is, neither is branded Lady or Kids. How did this happen? can anyone tell me the exact year they enclosed the mall ? Another website shows the Younkers store dates to 1979. 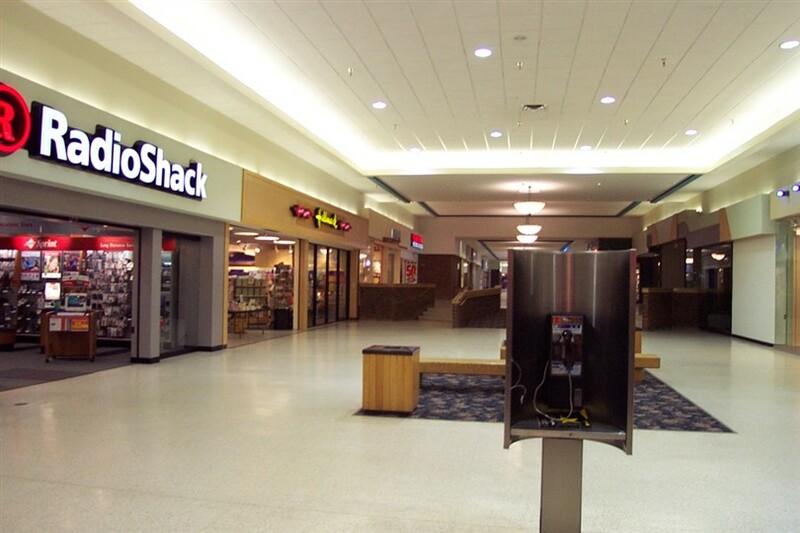 When I moved away from Fort Dodge in 1978, the mall was still open-air. So perhaps the mall was enclosed when the Younkers was built? Heck, it might have even been a requirement for Younkers to consider building there. @Bobby P. – About the two Foot Lockers: I don’t know how they managed to keep two Foot Lockers going for so long. ESPECIALLY with Tradehome shoes in the center of the two. The Foot Locker to the left of Tradehome has to be one of the largest Foot Lockers out there. The one to the right, on the corner, was okay sized, but a little smaller than half the size of the one on the left of Tradehome. Foot Locker to the right of Tradehome closed in late 2007. Glik’s, a regional teenage kids clothing store (Fox, North Face, Hurley, Etc.) opened there shortly after. Odd how there are only two Glik’s stores in Iowa (with the other being in Carroll, Iowa). The other Foot Locker remains as of today. I still didn’t get why they had two full fledged Foot Lockers in that mall…they were both there for a long time. I wish I could have visited this mall in the 80s. My parents weren’t big mall people to begin with. They got everything they needed at Wal-Mart (and still do). As of 2010, the mall is still chugging along. The Sears wing is even more empty with the departure of B. Dalton, leaving only Tradehome, Foot Locker and Bath & Body Works. 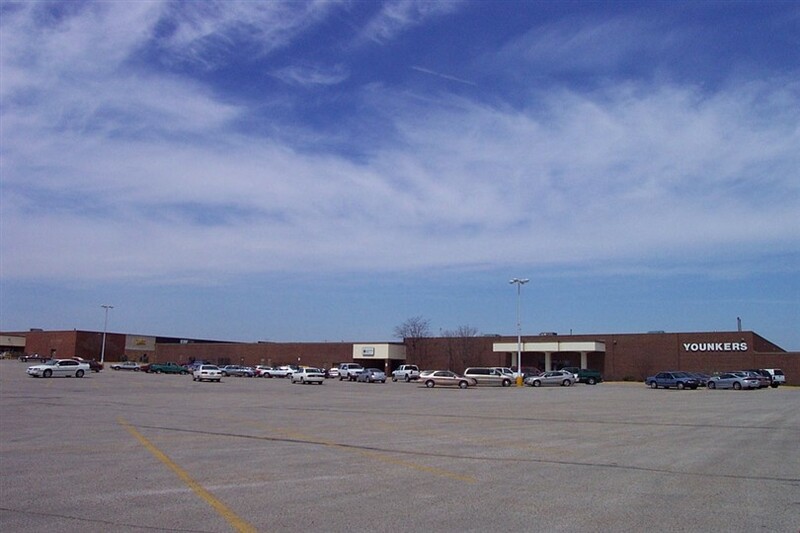 The JCPenney wing has full occupancy except for the former REX TV. The Younkers wing still has most of the stores it’s had for the past five years plus. I have to admit…for a run down town as Fort Dodge (it has been trying to improve itself as of late), it isn’t a HORRIBLE mall cosmetic-wise. It looks like it’s in great shape, but the mall has failed to attract new stores in the past few years. American Eagle, Aeropostale, or even Pacific Sunwear would bring more customers to the mall. 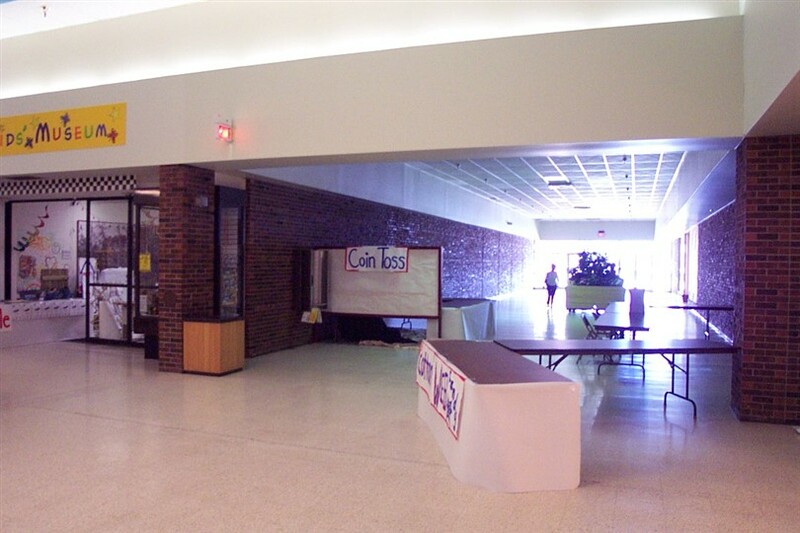 With the Kohl’s coming later this year/early 2012, hopefully the mall gets their act together and lower their rent for stores to revitalize the mall! Plain and simple, I don’t think Ft. Dodge has the demographics to support anything like an American Eagle. 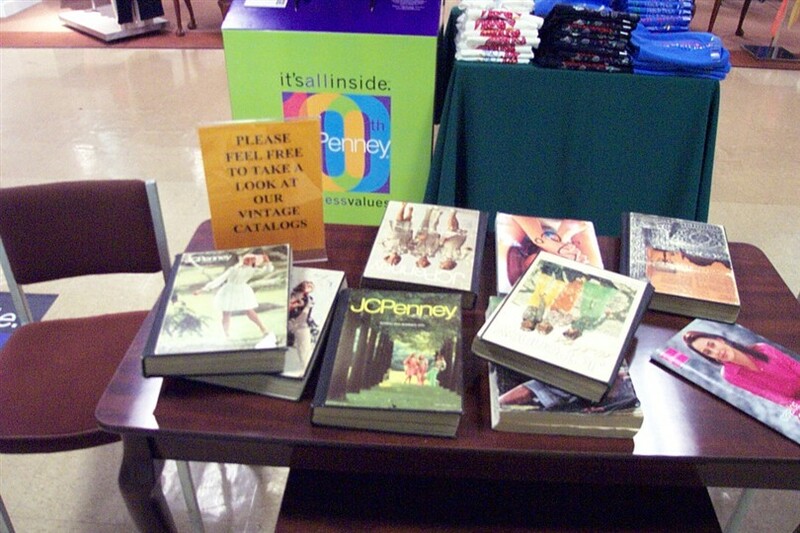 Once was sometime in the early-mid 90s; the Penney’s still had an old logo. Remember eating at a Bonanza, I had “Cod” for the first time. Second time was around 1999 or so–got food from a Chinese restaurant that had “Bubble Up” in its fountain. It would be interesting for some Ft. Dodge historical buffs to share memories of the mall from it’s grand opening. 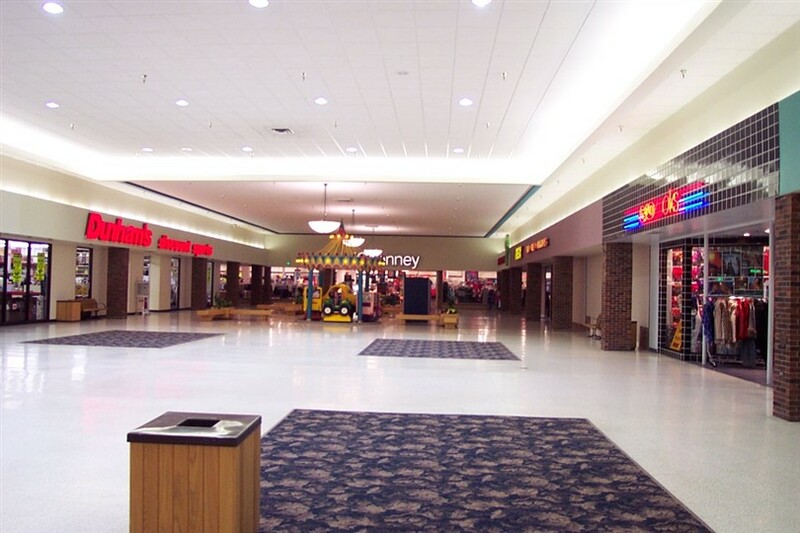 I have four specific memories of the mall. 1. As a small child when it was open-air (and Henry’s Hambugers was awesome!) 2. When it was enclosed. 3. As a young man living in town in the late 1980’s. 4. As an older adult in the late 2000’s when I had a change to visit… or at least drive by. Anyone know the retail history of this place? Please share!